Due to the rise in the number of fake qualifications, the NQF Amendment Bill introduces measures to address misrepresentation of qualifications and to impose consequences on persons who misrepresented their qualifications, or organisations that issue invalid qualifications. The Bill provides for the verification of all qualifications by the South African Qualifications Authority (SAQA) that have been presented for study, employment or appointment. It provides for offences and penalties for fraudulent qualifications. The Bill imposes a legal duty to report misrepresented qualifications. During public hearings in the National Assembly, the big concern was the relationship between SAQA and the Quality Councils to ensure the Bill works. In discussion, Members asked for statistics and about consequence management; the autonomy of the Quality Councils vis-à-vis SAQA; oversight of private institutions; whether blacklisting would be for life; the Bill's budget implications; the e-Certificate, and whether all qualifications in the public service had been validated. The Committee will call for public comment. The Chairperson said the object of the National Qualifications Framework Amendment Bill was to improve the qualifications framework, and to prevent fraudulent and misrepresented qualifications, which tarnished the image of the education system. The Committee was especially interested in what was to be done about public and private institutions that issued fraudulent qualifications. Apologies were received from the Minister, the Deputy Minister and the Director General of Higher Education and Training. 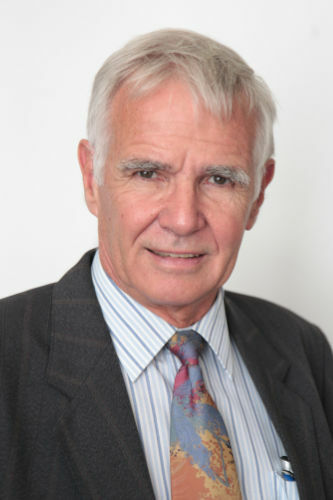 Adv Eben Boshoff, Chief Director: Legal and Legislative Services - Department of Higher Education and Training (DHET), said the NQF Amendment Bill introduced measures to address misrepresentation of qualifications and to impose consequences on persons who misrepresented their qualifications, or organisations that issued invalid qualifications. The Bill provided for verification of all qualifications to be referred to the South African Qualifications Authority (SAQA). It imposed a legal duty to report misrepresented qualifications, and to create offences and impose penalties for fraudulent qualifications. The most important generic issue raised in public hearings was the relationship between SAQA and the Quality Councils. Professional bodies would be required to institute consequence management for persons who misrepresented qualifications (see briefing). Dr Shirley Lloyd, DHET Director: NQF Directorate, replied that there was a statistical report. SAQA had to report to the Minister every two months. For the period October to November, there were 97 national and 95 foreign cases of fraudulent or misrepresented qualifications. Nationally to date, the number of successfully proven as misrepresented since 2009, were 1 564 national qualifications. There were plenty of others out there and there are universities where there has been significant activity but SAQA had not yet concluded its work so that they can be handed over to the Hawks. Dr Lloyd said the biggest problem area was the Trades. In the October to November period, there were two national senior certificates, one honours degree, five diplomas and a total of 72 misrepresented trade qualifications. Of the 1 564 confirmed cases over the five year period, there were 165 rigger qualifications; boilermakers amounted to 180, fitters to 185. There were 48 fraudulent degrees, and 26 diplomas. It is a concern. Dr Lloyd said 333 SAQA affidavits out of 1 564 national cases have been handed to the Hawks. Large numbers were still being worked on. Dr Lloyd noted about foreign misrepresentation that with the security measures of the new digital certificate, the e-Certificate, SAQA is able to identify issues and it could work with the African Qualification Verification Network, SADC and the Groningen Verification Agency. Consortiums of verification agencies that signed MOUs were brought in. There were built in security features that only one or two or three people knew about. SAQA had issued 3 386 e-Certificates since November 2018. Countries with the highest incidence over the preceding two years were India with 25, Nigeria with 9, Pakistan with 23, DRC with 15, Cameroon with 3, China with 1, Zimbabwe with 5, and Bangladesh with 8. Since 1 February 2015 to 20 November 2018, there were 2 838 misrepresented or fraudulent qualifications. Fraudulent qualifications were found to be from India, Nigeria, Pakistan and China. Forged qualifications were found to be from the DRC, Ghana, Nigeria, Zimbabwe and India. SAQA could identify those more rapidly with the help of the e-Certificate. There were other agencies that talked about half a million misrepresentations, but this had to be verified by SAQA. Misrepresentation amounted to a tiny percentage, but the DHET approach was that "one was too many". Ms T Mpambo-Sibhukwana (DA, Western Cape) asked how many cases were brought to book during verification, and what was to be done in future. The Chairperson asked about the autonomy of the Quality Councils vis-à-vis SAQA. Would matters be coordinated to a single point? Would the Trade and Occupation Quality Councils and Umalusi, as well as private institutions, be expected to submit to SAQA?. She asked about the validity of certification issued, who would check the content in terms of NQF Levels, and who would follow up. What did the Department do to oversee private institutions to prevent poor quality certification? She asked if blacklisting for fraudulent qualifications would be for life, or until the situation was corrected. Only 333 affidavits had been handed to the Hawks, but the number of fraudulent national and international certificates presented was 3 000. The pace was slow. She asked if budget implications were considered when the legislation was initiated. Was National Treasury committed to assist SAQA to strengthen the fraud unit? She commended the development of the e-Certificate. It would reduce fraud and misrepresentation. She asked about progress with fraudulent certification by foreign nationals. The NCOP would invite inputs from individuals and academics to consider if the legislation was in line with the Constitution. Dr Lloyd replied that SAQA had to be careful with bringing cases to book, because of the legislation. The 333 cases handed to the Hawks were carefully built. The rest were still in process. There were times when an institution would admit to misrepresentation, which assisted the process. Otherwise documentation could take long to collect. There was an element of risk involved, but a process had been established to counteract that. Adv Boshoff added that existing legislation had not as yet supported that action be taken. Work had to proceed on a voluntary basis. Once the Act was in effect, registers could be published, enforced by law. Dr Lloyd responded to the question of whether Quality Councils would have to present databases to SAQA. The NQF Act already required that, for purposes of recording and registration, and to establish an information management system that spoke to the criteria SAQA published. Some Quality Councils referred to 8 000 examples of misrepresentation not handed to SAQA. The legislation would strengthen that ability. The Council for Higher Education (CHE) was not yet required to give information to SAQA. The new legislation stated that SAQA had to provide the criteria, and that there had to be one record. The autonomy of the Quality Councils to speak with the Minister would not be affected, but the Quality Councils had to consult with SAQA and provide reports. Dr Lloyd continued that her Directorate dealt with private institutions, which responded to the Minister and acted in unison with Adv Boshoff’s unit. Misrepresentation was emerging both in the public and private sectors, and in higher education institutions and colleges. The Quality Councils were responsible for monitoring quality levels, to validate accreditation and to provide quality assurance of certification. Both public and private institutions would be audited and checked. A private institution that offered bachelor or master’s degrees had to undergo the same rigorous auditing as a public institution. She assured the Committee that Quality Councils would deal with quality criteria for public or private providers. There were excellent and poor providers in both the public and private spheres. The CHE could de-accredit an institution. It was found, for instance, that there were LLB programmes offered by public institutions that were not up to standard. Auditing and monitoring and evaluation were already beginning to bear down on institutions. The RQF directorate wrote an annual report on quality assurance. Before appearing on the list of SAQA accredited providers, an institution had to go through the College Council, two committees in SAQA, and the SAQA Board. Suspect activity could be reported to the Quality Councils, which could de-register or de-accredit. Blacklisting would not be for life. A rehabilitation period would be provided for. The current legislation did not allow room for offences and penalties. National Treasury did not as yet vote funds for SAQA. SAQA had 57 staff members to process international cases, and 52 at the national level. SAQA researched work output, and found that staff members dealt on overage with 1.5 cases per day. If that could be doubled, costs could be avoided. There was currently more data available to take to National Treasury. The Department of Home Affairs also dealt with foreign nationals, and could rescind applications. People could be deported and would possibly be prosecuted in their home countries. SAQA met with Home Affairs every two months, and could report on how it dealt with foreign matters. Adv Boshoff replied about the autonomy of Quality Councils, that the legislative powers and functions of SAQA and the Quality Councils would be spelled out. To date the Quality Councils could claim that there was no timeframe, which gave it powers of discretion. But clause 5 of the Bill stated that reporting had to happen within 30 days after compliance with requirements of quality. Quality Councils sometimes sold data to MIE, for example, and then provided it to SAQA only six months later, which was why the Quality Councils could not verify against the qualifications of the NQF. Only the qualification offered by an institution could be verified, and not the level of qualification. Quality Councils would still be able to advise the Minister, but had to deal with NQF matters within the system. All Quality Councils would have to comply. There was bound to be some overlap, as it was a dynamic system. There were a lot of currencies, as qualification was a money spinner. It would be possible to verify quality. People paid for qualifications, and were sometimes taken for a ride, and ended up paying for a worthless certificate. Those who sought qualification were vulnerable. Bodies who made money claimed that their rights were affected, which was not the case. When contracts were entered into, the provider had to go to the official database and deal with that, to establish the status of qualifications. People could go the long way round and pay more, as there was the perception that it was more effective, but verification from the official database ensured that it could be recognised in a court of law as the correct one, so that the court could pronounce on the status of the qualification. The Chairperson asked about SITA and TVET certificates. For the certificates created by SITA, based on information from TVET colleges, did the data have to go to SAQA? Students would sometimes pass 5 out of 7 modules. There were major correlation problems that could cause delays of up to five years. She asked about correlation of records between the Quality Councils and SAQA. Adv Boshoff responded that Umalusi dealt with the quality issue, while the Department managed the examination process in the colleges. By law SITA was the authority that had to perform digitalisation of qualifications. There was disjuncture between how Quality Councils calculated the outcomes and how the system in SITA used formulae that resulted in different outcomes. Huge strides were being made. Parliament had helped to clean up processes. On certification, there was the problem that some certificates were never printed and issued. The problem was addressed through monitoring by Parliament. Dr Lloyd added that Umalusi was met with as overarching Quality Council. Umalusi had assessment bodies in the nine provincial departments and the DHET. Umalusi raised the matter of 'resulting'. Students got the results, but the Department had to request Umalusi to certificate. The data had to go to SAQA, which was where the gap was. There were 45 000 students who were 'resulted' but not certificated. The gap was being closed. Umalusi had to approach the examinations department in the DHET to act. The Umalusi board chairperson would meet with the Minister. 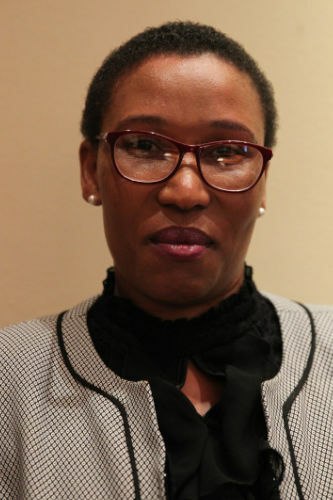 The Chairperson stated that when a Head of Department, a Chief Director or the Secretary to Parliament was employed, SAQA had to validate qualifications. People went to private quality assessors. She asked if the qualifications of all members of the public service were validated by SAQA, and SAQA only. Adv Boshoff replied that the Bill prescribed that a Quality Councils had to report to SAQA within 30 days, so that a national database could be established, based on credible information. The Bill did not prevent other bodies from validation, hence it did not take over their business. It would not penalise the MIE on statutory grounds, but it had to pronounce on how qualifications had to be rated. Naming and shaming would happen in the public domain, but the Bill did not seek to criminalise misrepresentation, except where there was fraud. If a court found a qualification to be fraudulent, it would go against a person’s name forever, but there would be opportunity to improve the qualification, or for rehabilitation and correction. It would be allowed that there might have been a bona fide mistake or oversight. The status of SAQA was to be enhanced, and the Quality Councils would assist SAQA. They would act in unison. Dr Lloyd replied about certification validation in the public service. There were some qualifications dating from before 1992 that were not yet recorded, but SAQA had a digitalisation project under way. There may have been instances where universities did not offload a qualification. The DPSA requirement was that qualifications of all senior officials had to be verified. If it was not yet with SAQA, the universities could be approached, as they would still have it on record. All post 1994 records were in all probability already digitalised. The Chairperson thanked DHET. The Committee would grant two weeks for public submissions inputs, to obtain a final view, at the end of which it would vote in favour of the amendments. As it was a Section 75 Bill, it did not have to go to the provinces, which meant that the Amendment Bill could be finalised after the two week period. The Chairperson took the Committee through the Committee programme. Not enough Members were present at the end of the meeting for a quorum to approve the programme, although a Member who had left early stated before he left that he was in favour of adopting the programme. That created a situation where the Chairperson was in favour of adopting the programme, but the Committee Whip was not. A Member suggested that the matter be deferred until the Chairperson and Committee Whip had come to an agreement.